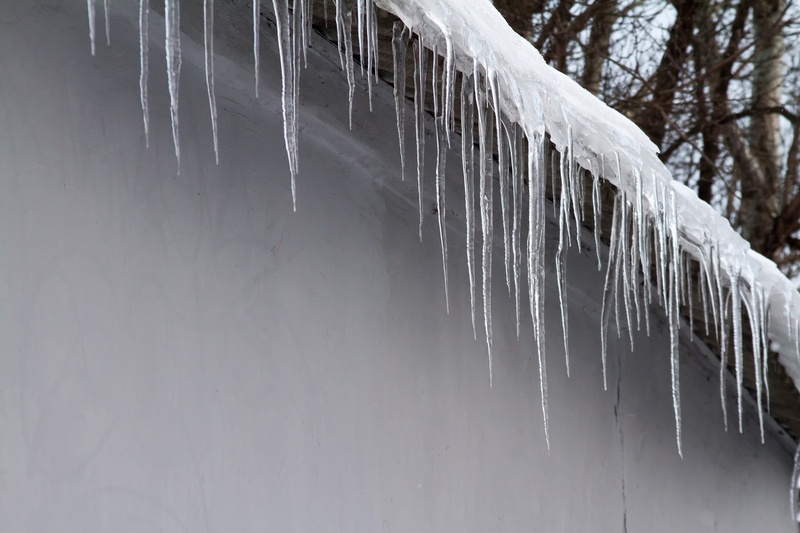 Don't Let Ice Dams Ruin Your Roof! Winter is a time of extremes. Keep your home and family safe this year by watching out for ice dams, a common problem during colder months. Ice dams tend to occur when one or more parts of your roof are warmer than the eaves. If this happens, snow sitting on top of your roof melts due to heat in the attic or crawlspace and then flows down to the eaves, where it refreezes and creeps up under the shingles or roofing tiles. Once beneath the upper layer of roofing material, the ice can tear through even the most sturdy underlayment. Ice dams tend to occur in roof valleys, where different sections of roof come together, since wind-blown snow gets trapped in these areas. Ice dams are every homeowner’s nightmare, so avoid them at all cost. 1. 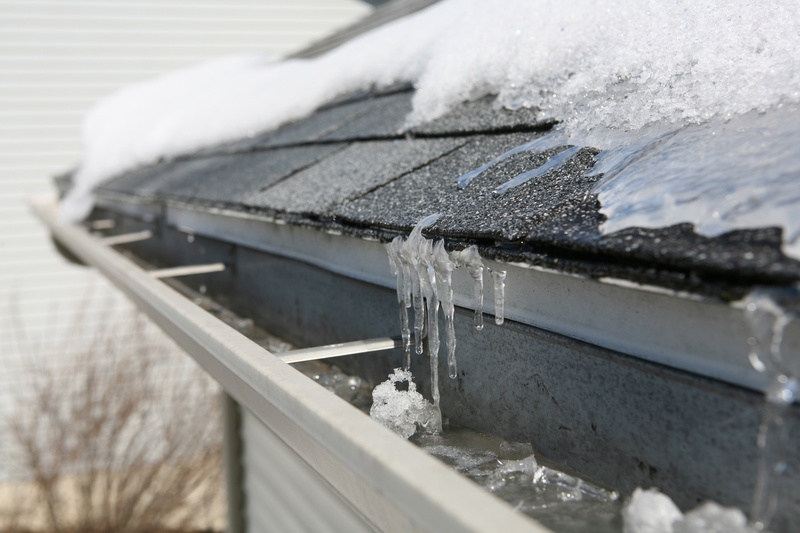 Install heated wires along the lower edges, or eaves, of your roof to prevent ice dams from forming there. 2. Have ridge vents added to the top of your roof to let the cold air coming in through the soffit vents get back out again. The inclusion of ridge vents in newly installed roofs is now mandatory in many municipalities. 3. Remove built-up snow from your roof using a snow-rake or a long-handled broom with soft bristles. Avoid using a sharp tool to do this job, since puncturing roofing materials can cause additional problems. If you must climb a ladder to complete this task, use extreme caution and make sure a second person is on hand in case of emergencies. 4. Find and repair any and all leaks in your roof. Leaks create a concentrated spot through which heat can penetrate the many layers of a modern roof. 5. Make sure that the batt insulation stuffed between the exposed rafters in your attic or crawlspace is of proper thickness and evenly distributed. Also consider installing rafter air channels to maintain an air-space between roof deck and insulation. Avoid stacking boxes or other items in such a way that they might restrict airflow throughout the attic. If your home’s furnace is in the attic, make sure its ductwork is properly insulated. 6. Keep your home’s thermal envelope tight and leak-free. Hot air escaping from conditioned rooms will collect near leaks or other uninsulated spots at the top of your house. Improve your thermal envelope by building a cover out of rigid polystyrene insulation that seals off the hatch leading into your attic or crawlspace. If you notice cold or damp walls as well as rusty or discolored patches of mold growing on the drywall or ceiling in your home, especially in winter, you might have a leak caused by ice dams. For professional help in getting your attic or crawlspace ready for winter, and keeping ice dams at bay, contact our experts at AROCON Roofing & Construction!